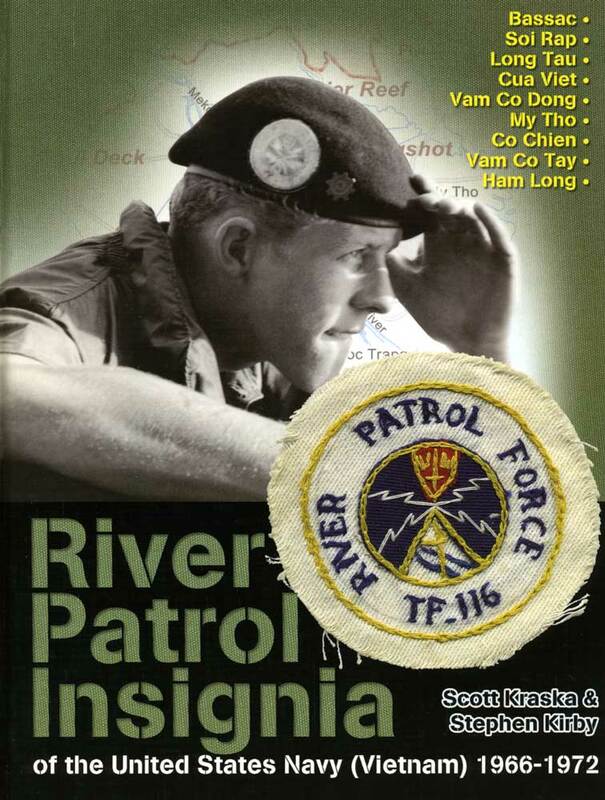 Over three million personnel served in Vietnam, but only those of the U.S. Navy Task Force 116 wore the distinctive black beret while serving and fighting as the River Patrol Forces in the murky, brown waters of the Mekong Delta. 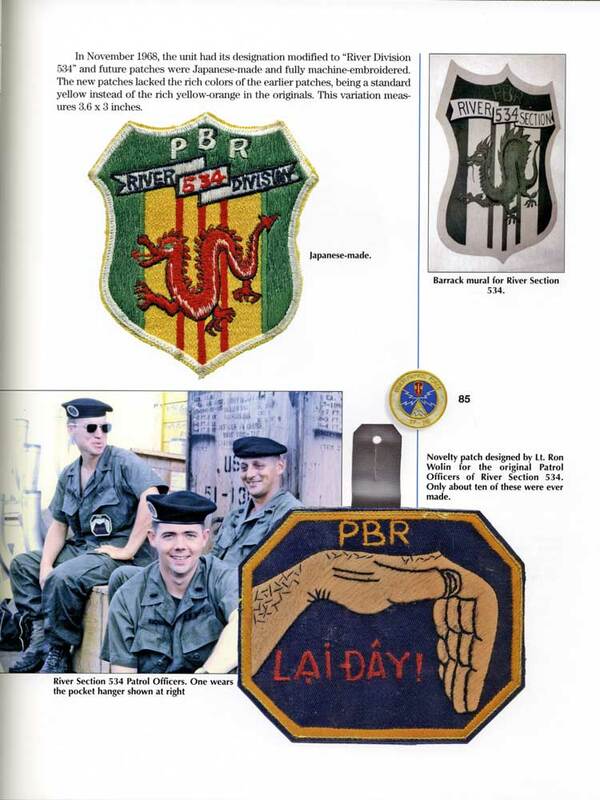 Those who served in Task Force 116 are among the most elite teams deployed by the U.S. Navy in Vietnam: PBRs, SEALs, HAL-3 Seawolves, and VAL-4 Black Ponies. Their mission was to route the enemy deep within the secluded waterways of the Delta. 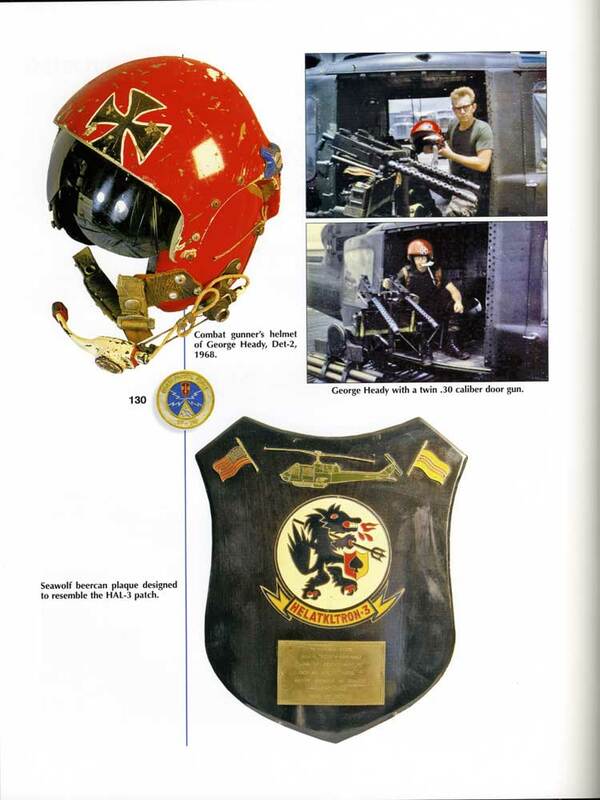 This book illustrates the colorful insignia, emblems, and artifacts used by these units in great detail. 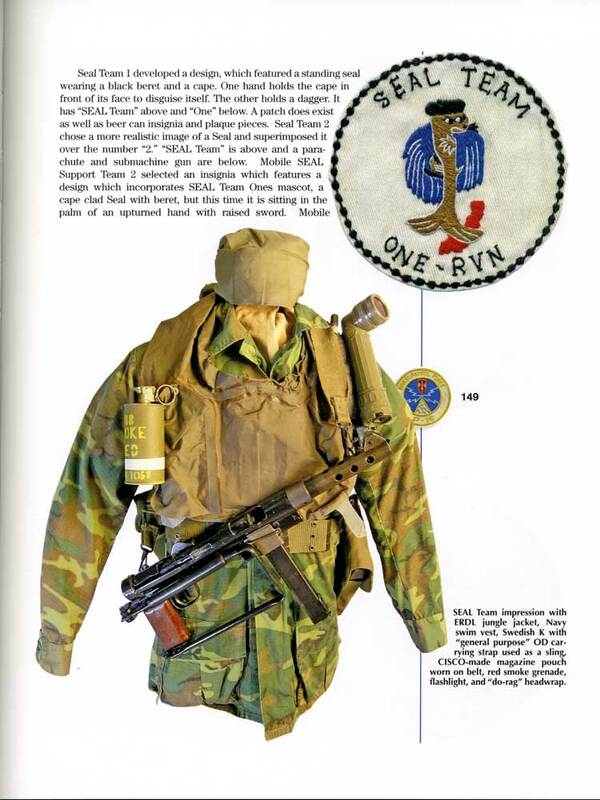 Many of the patches, jungle jackets, and tiger stripe uniforms didn't survive because of the environments of war in South East Asia and the restrictions placed upon U.S. Sailors. 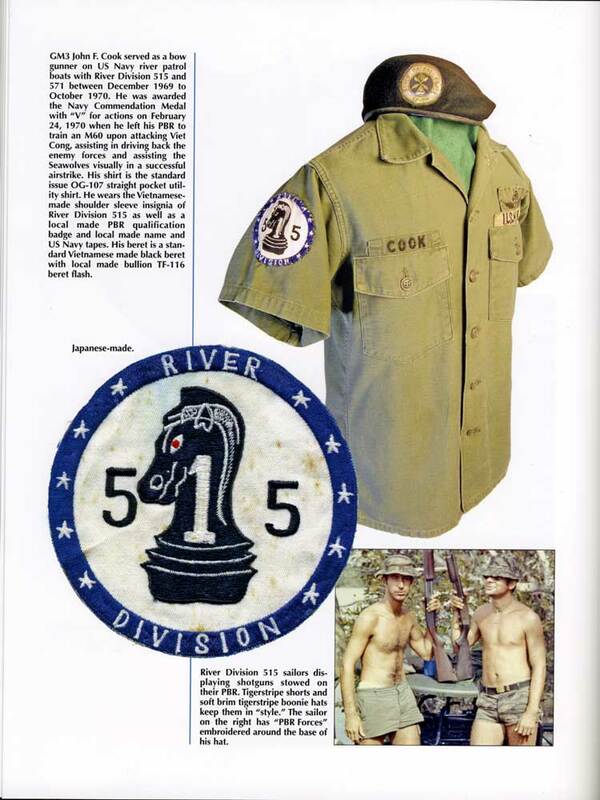 The unit patches produced by the River Patrol Forces used symbols of heraldry, strength, defiance, and sometimes humor which represents the best of men fighting to protect their "brothers in arms". The black berets and the distinctive unit patches emblazoned on their jungle jackets and worn into battle brought these men together as a fighting unit. $49.99. VP-834 Vietnam EOD qualification patch. VP-777 Set of 2 connected South Vietnamese Jump Wings. $60 pr. VP-588 US Special Forces SSIs. $15 each.